Les Dawson enjoyed a hugely successful television career after winning Opportunity Knocks in 1967. His self-deprecating and enduringly bleak humour, coupled with a world-weary delivery honed in the working men’s clubs of northern England, made him one of Britain’s best-loved comedians. 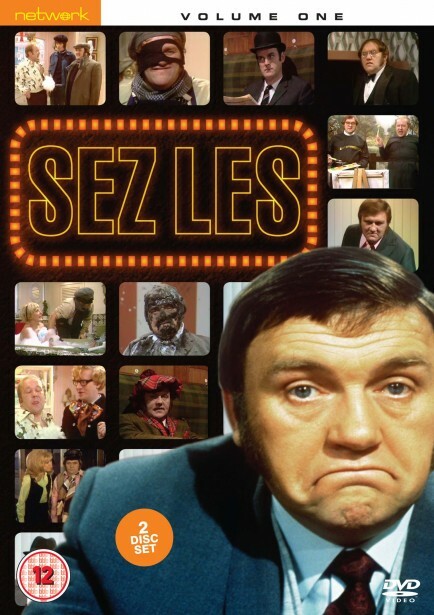 Sez Les was the TV show that firmly established Les Dawson’s reputation, running for over seven years and bringing his humour to a wider viewing public. Among the gems in this set are a couple of appearances from John Cleese, some wonderful, rambling monologues and Les’s own, twisted version of Candid Camera. The jewels in the crown, though, are undeniably a sketch set in a crockery boutique run by the campest shopkeepers ever committed to videotape (and starring Roy Barraclough, who - complete with headscarf and heaving bosom - would join Les as the other half of Cissie and Ada) and a hilarious dialogue on slapstick with Les and Carry On front-man Kenneth Connor. This volume consists of the complete third and fourth series of Sez Les - unfortunately, series one and two no longer exist in the archive.